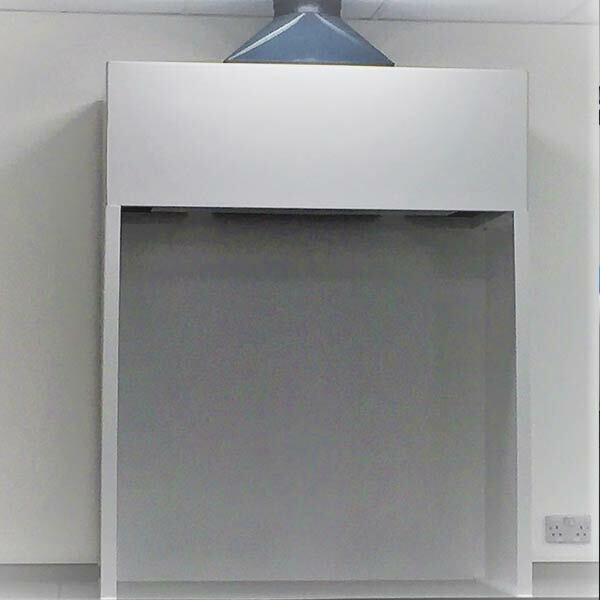 We Design, Manufacture, Commission and Install Fume Cupboards and Associated Equipment. 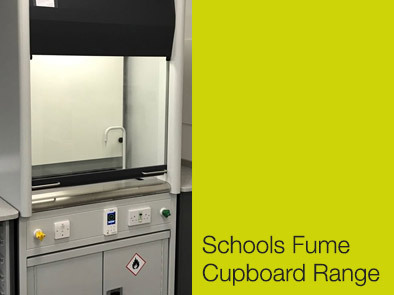 Fume cupboards built and designed especially for Schools. Fume extraction systems for our fume cupboards. 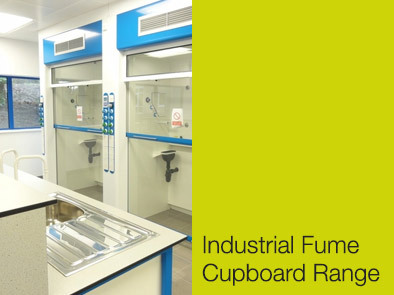 Our fume cupboards play an important role in the laboratory, protecting operators from harmful substances. 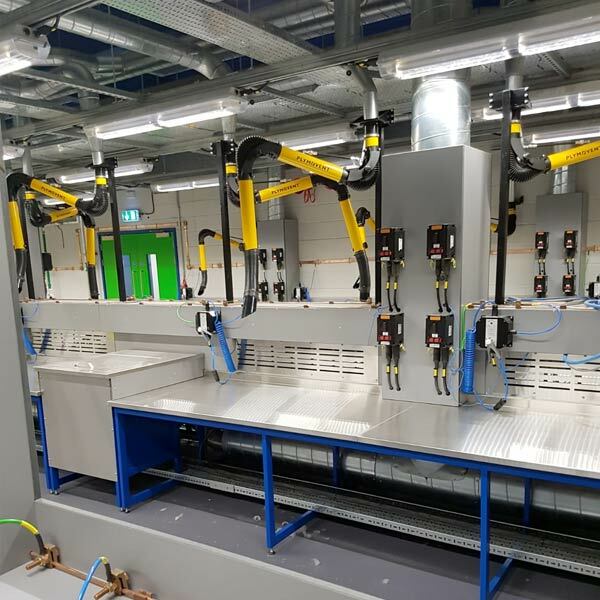 A typical laboratory uses a fume extraction system to pull air from inside the room through the open fume cupboard sash and pull in every hazardous and dangerous gas with it. Then, the contaminated air is then expelled and/or filtered for re-circulation. 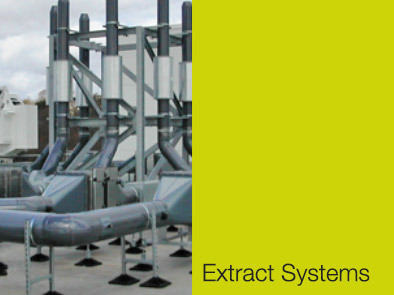 All of our fume extraction systems are designed to comply with safety regulations and ensure energy efficiency. 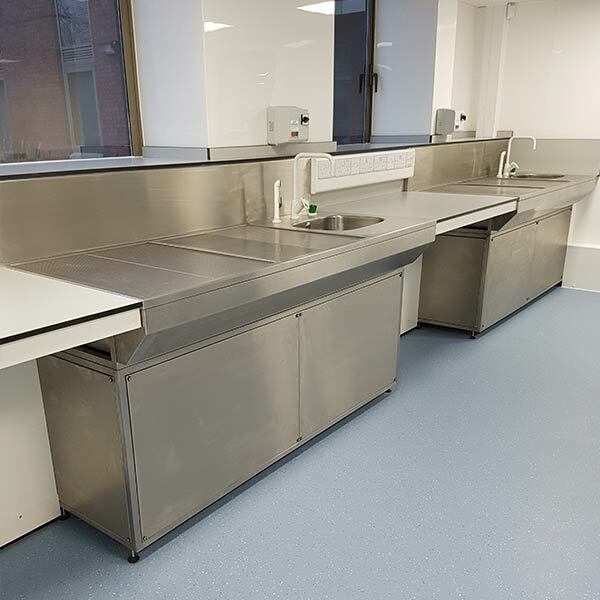 Our comprehensive range of containment systems and laboratory furniture aims to suit the user’s requirements. With over 25 years of experience, we understand our valued customer’s needs and offer custom designs to fit your laboratory requirements. A fume cupboard is first and foremost a piece of safety equipment. We have worked with many laboratories, including school laboratories to ensure our products are optimised to ensure protection for students, teachers and lab technicians from exposure to harmful and irritating fumes. Our friendly team remains available to answer any questions and deliver the best pieces of advice. 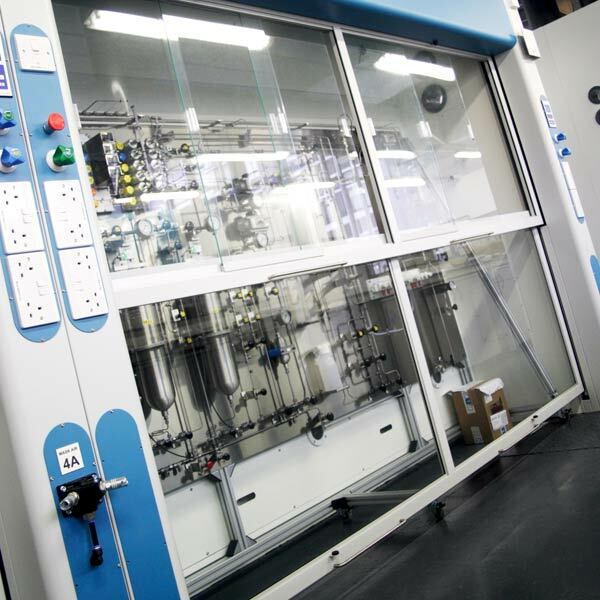 Fumetec has extensive experience installing safety equipment for labs across all industry types throughout the UK. 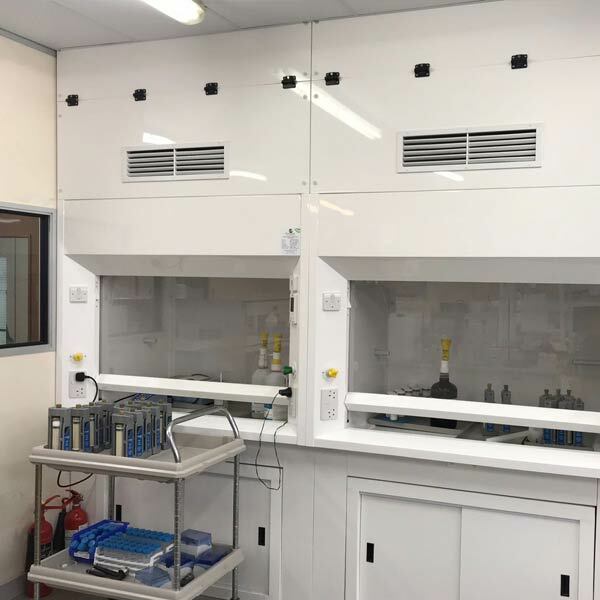 We offer high-quality chemical fume hoods, radio-isotope fume cupboards, carbon filtered fume cupboards as well as polypropylene fume cupboards. View some of our past work in our case study gallery. Protect yourself, your environment and the people in it with the latest in fume cupboard design and technology. We are experts in fume cupboards, fume extraction systems and other associated equipment, with over 30 years’ experience in the industry. 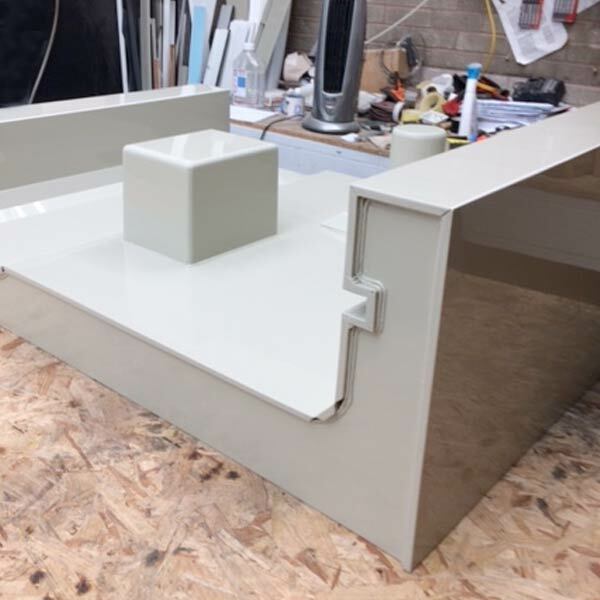 Take advantage of our full consultation and design service – we’ll ensure that you have the right fume cupboard for your requirements, both safe and efficient. Our professional installation will give you high performance combined with low noise levels and minimum energy costs. We can guarantee that your fume extraction equipment will continue to run to its original design specification and performance levels. Safety comes from quality and we design and build our products to the highest standards finish using AutoCAD design and CNC manufacturing. We test rigorously by skilled, technical craftspeople. We deliver and install using our own vehicles and expert engineers, providing a UK-wide service. 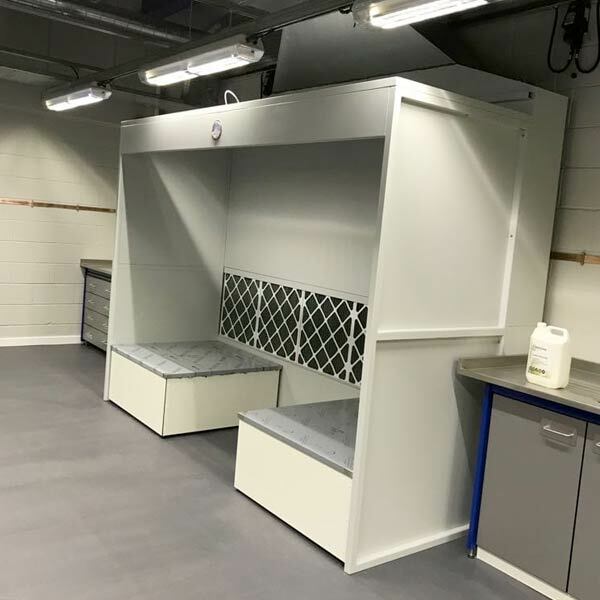 We build all our fume cupboards to British BS EN 14175 standards and we design and manufacture our extraction systems to comply with the very latest technical specifications and safety regulations. Our approach to product design and development is to always ensure that our customers get the most technically advanced equipment built with state-of-the-art materials. We continue to research, grow and develop our products to provide an assured level of excellence. Fumetec Ltd was founded in 1991 and has become a UK leader of laboratory equipment providing a service for the design, manufacture, installation and commissioning of Laboratory equipment. 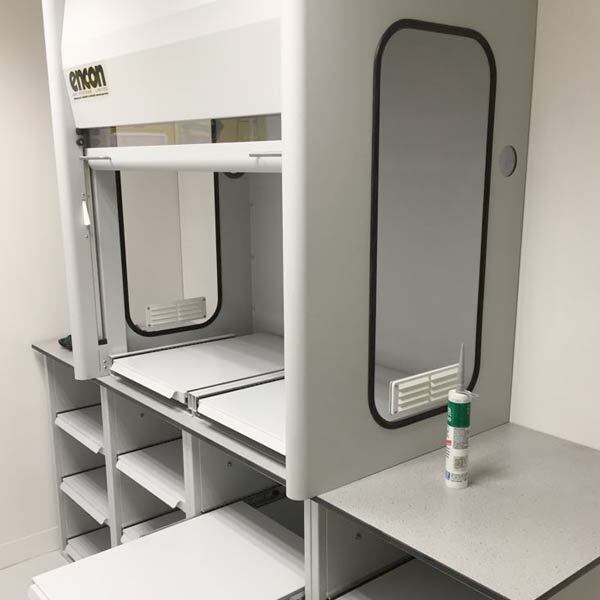 Our product range is varied and includes Fume Cupboards, Carbon Filtration Units, Downdraft Benches, Fume Hoods and associated Ductwork Systems. Fumetec Ltd is based in Manchester and our services are offered throughout the UK. Working with our long-term trusted partners, Fumetec can offer a full M&E turnkey package from initial design through to completion. You will find our dedicated sales staff are always on hand to answer any related queries or questions through our contact form which is available on the website. Alternatively, you can call the office today on 0161 727 8880. 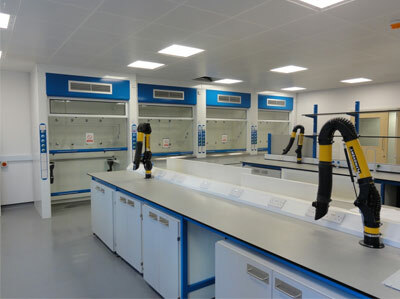 Fumetec also offers bespoke laboratory equipment: downdraft benches; fume hoods; and chemical wet stations. We also complete small projects tailored to meet our customers’ individual requirements.